I've Got Michael Stanley Covered! Boy, have I got Michael Stanley covered, and it all proves that you just never know who's reading your blog! 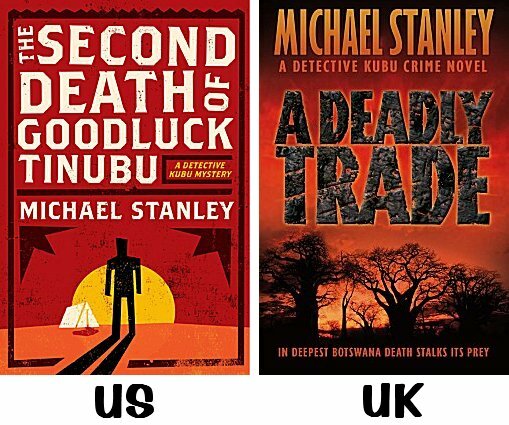 Michael Stanley-- the writing team of Michael Sears and Stanley Trollip-- write one of my favorite series featuring Detective Kubu, a wonderful man who solves crime in Botswana. In fact, the series is an auto-buy for me. When I know there's a new one coming out, I have to get my hands on it. 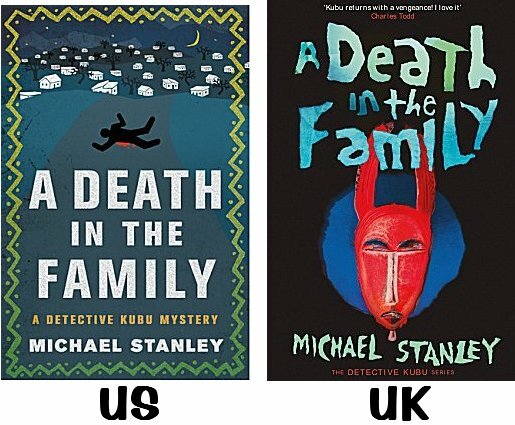 It seems that at least one of the writing team has been enjoying my posts comparing the US and UK covers of crime fiction titles and he emailed me, telling me a bit about the odyssey of their own Detective Kubu covers. Here I am, sharing it with you. Enjoy! We enjoy your "covered" pieces and thought you might be interested in our "cover experiences." 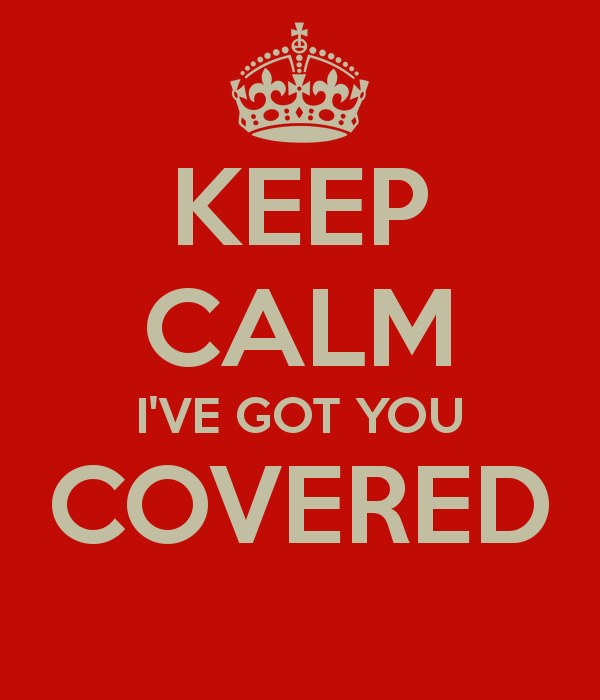 As new authors, we expected the publishers to know exactly the right covers for our books. We are older and wiser now. Harper Collins brought out A Carrion Death in the US in hardcover with an atmospheric collage that we liked. But in the UK they thought a more stylized approach with the browns and yellows of the desert would be more appropriate, and we liked it, too. Then Harper Collins decided that the stylized approach actually worked better and used the UK cover for the US paperback version! Hmmm. As I said, we are older and wiser now. Now we have two great new publishers-- St. Martins Minotaur in the US and Orenda Books in the UK. Here are the covers for the new book, A Death in the Family. Again VERY different, but we love them both for different reasons. What do you think? We'd love to hear your opinion! I'm afraid I'm going to waffle around just like Harper Collins and Headline! For me, that hyena on the US cover gives me the chills while the stylized UK cover seems heavy-handed and leaves me cold. My vote for A Carrion Death? The US cover. But here I go waffling away. For The Second Death of Goodluck Tinubu (the title I prefer), I have to go with the stylized US cover. Why? Because both the title and the cover of the UK edition make me think immediately of Deon Meyer. Don't get me wrong, I've read and greatly enjoyed Deon Meyer's books, but I really don't want to confuse the two of you in my mind! As for your new book, A Death in the Family, coming out in October, I finally see that I've been consistent in my waffling. Both covers are stylized, and the UK cover is certainly eye-catching with that nightmarish red mask, but I'm going to have to go with the US cover once again. I like the border, I like the colors. "Detective Kubu" stands out better, and there's just something about that lonely body lying in a pool of blood that grabs me. I want to help him. I want to know what happened. So... I'm consistent in that I chose the US covers each time. How about you, readers? Which covers do you prefer? Inquiring minds would love to know! Are you already a fan of Detective Kubu, like I am? 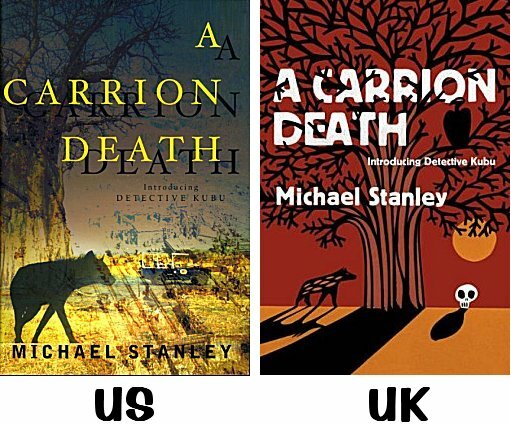 Are you new to Michael Stanley's wonderful series and thinking about giving it a try? Michael Stanley has a deal for you! The subject line should read "A Death in the Family Giveaway." Have your entry to me by Wednesday, June 17. I'll announce the winner on Friday, June 19. Just remember-- you won't be getting the book until the end of October-- but you'll be set with a wonderful story to read! Oh, Cathy, I am with you about the US cover for A Carrion Death. I do like it better. Interesting comparison, too, with the second book and Deon Meyer's work. I wouldn't have thought of it, but there it is! I'm glad I'm not the only one who sees the similarity to the covers of Meyer's books! Ain't that the truth, Kay! I agree on the U.S. cover for book 1. I like the UK cover for book II, but not the title; it's too formulaic and could be the title for any number of authors' books, thrillers, etc. I'd have used the UK cover with the U.S. title, which also seems more intrinsic to the culture within the book. And I'd delete the bottom line which makes it look like an airport-read thriller. I guess I just like those trees. And on book III I agree on the U.S. cover.